This picture was taken from a rest area on west bound Interstate 20 in Palo Pinto Texas. From the parking lot I could see an amazing tapestry of greens behind the rest area. 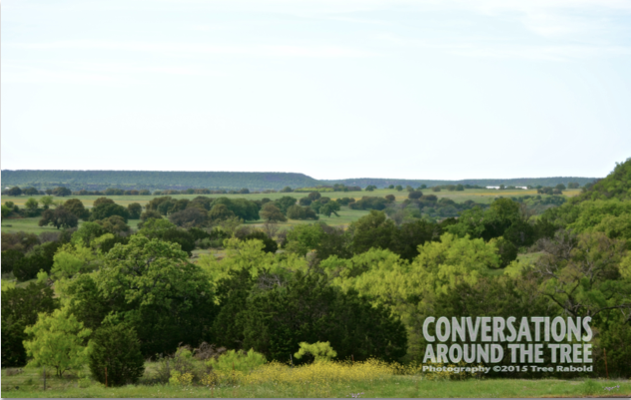 I couldn’t help myself…I grabbed my camera and headed toward the bluff overlooking this sea of greens. This part of Texas is West of Fort Worth (maybe 45 minutes) but before the true “West Texas – desert lands” begin. No too much farther along this highway and the landscape turns brown. This entry was posted in Uncategorized and tagged 365 photos, Palo Pinto TX, photography, Texas on April 14, 2015 by treerabold.